A chest of drawers is a bedroom staple that it’s more or less impossible to furnish a home without, unless you’re lucky enough to have a sweet inbuilt storage situation already going on when you move in. For most of us, however, a chest of drawers is non-negotiable, and finding the right one isn’t always the easiest task in the world. 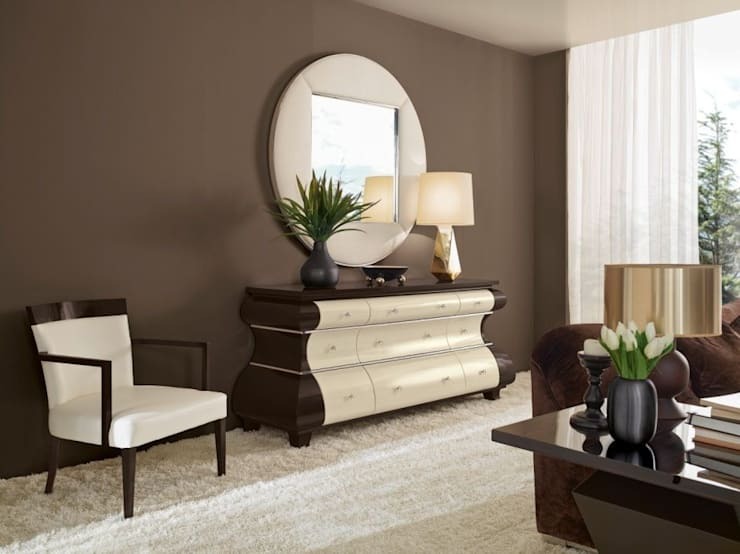 A good starting point, as with all aspects of furnishing a home, is to begin by getting a clear idea of roughly what styles do and don’t fit with your vision; and the best way of doing this, of course, is to see as many of the options as possible. 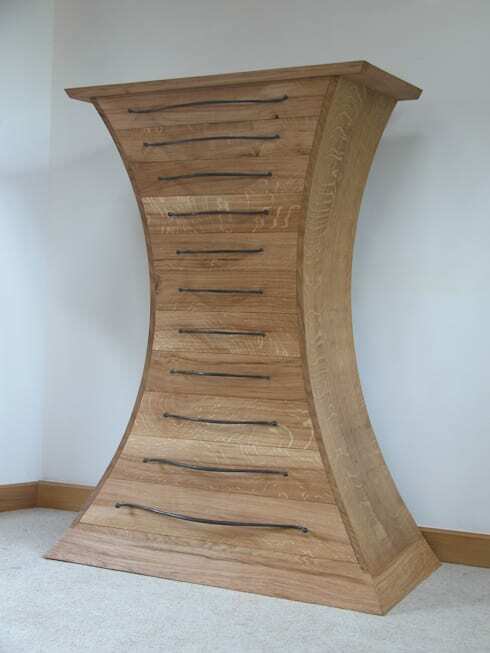 This ideabook brings together a wide range of different chests of drawers, each one very unlike the others in its style, in order to give a good sense of just how much can be done with what is often wrongly considered a less than exciting item of furniture. This gorgeous chest of drawers has humble origins – it’s made out of repurposed crates. And yet despite, or probably because of, the use of wholly unpretentious materials in making this piece, the designer has really managed to come up trumps. The light wood makes this piece perfect for a modern city home with an unfinished edge. The exposed bricks of the painted white walls seen behind make the ideal backdrop. 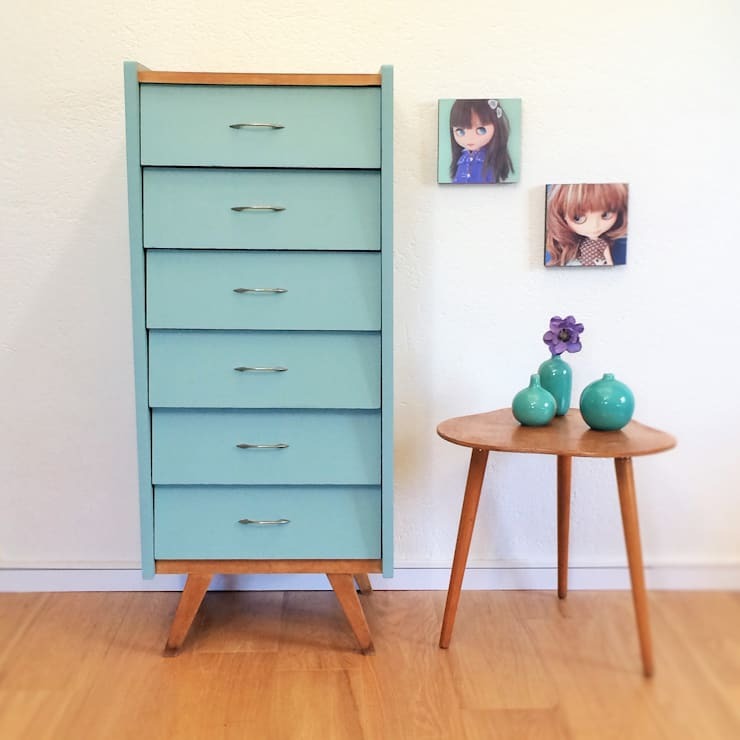 Less edgy than the previous item but strikingly original nonetheless, this tall, thin chest of drawers derives its charm from three key places: its unusual shape, its sweet blue colour and the endearingly perky quality it gets from being propped up by those little legs. This is a piece for those drawn to the slightly odd, the cheerful and upbeat and the downright adorable. Now it’s time to move onto showier things, in the form of the black-and-white splendour of this curvy piece. 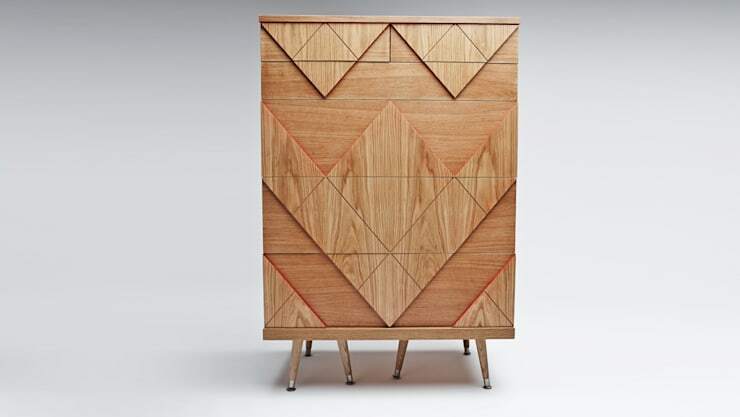 This is certainly not a chest of drawers for shrinking violets; you need to be confident in your style to allow this potentially overbearing piece into your bedroom. But for those who love to make an impact, the powerful punch delivered by white and black together can be hard to resist. This elegant chest of drawers takes inspiration from the voluptuous figures of classic Hollywood starlets. Its key feature is that unique hourglass silhouette; apart from this, it’s simple enough to bring a slightly unexpected edge to a wide range of different decorative styles. The simple self-assurance of this piece makes it the perfect match for a laid-back, contemporary bedroom with a light colour palette. That gorgeous raised wood pattern across the front of the drawers is what pushes this from being merely a basic, neutral, adaptable item to being a seriously cool must-have piece. It's also available in a few different shapes and sizes; find them all over at the [profile of furniture designer Woodi. 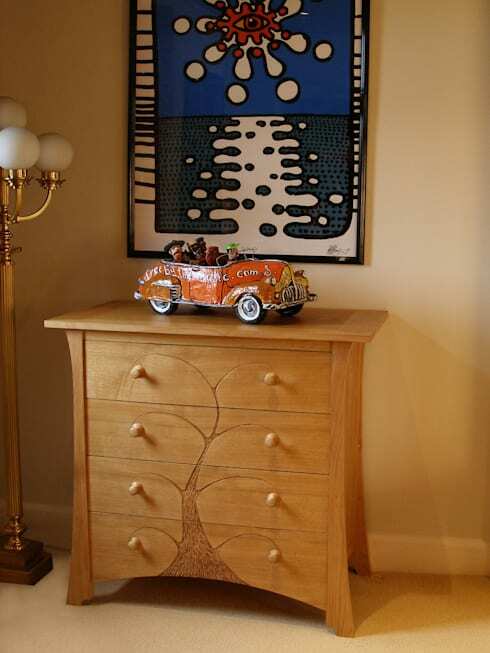 This chest of drawers incorporates a visual reference to its own birth, in the form of the stylised tree winding its way up its front. This is an unusual, but not overly outrageous or attention-seeking, addition to an otherwise totally traditional piece. This chest of drawers would therefore be suitable for those who value simple, solid, old-fashioned design, but still want to bring a little bit of extra character into the home. Finally, if you're in the process of furnishing a new bedroom (or just breathing new life into an old one), you might want to take a look at this ideabook full of cool wardrobe designs. Which of these is you favourite/least favourite? Why? Tell us here!